Single or Multiple Levels for Pallet or light storage. With warehouse space at a premium, a mezzanine floor is the most cost effective solution for increasing storage capacity. Freeing up valuable production space or simply extending existing storage is definitely a sensible alternative to moving premises. A Mezzanine Storage platform could potentially double your usable warehouse footprint, giving you the freedom to hold more stock items either in light storage, on pallet racking or both. 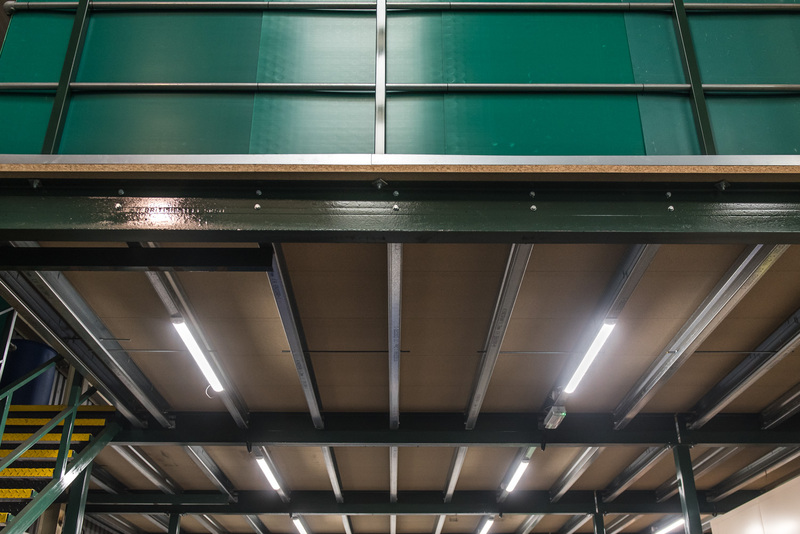 Mezzanine floors can be designed to take loads of up to 15 Kn/m2 with the use of chequer plate or open steel grating. We are also able to design in a single or multiple staircase access, as well as up and over pallet gates and bespoke lifting equipment. 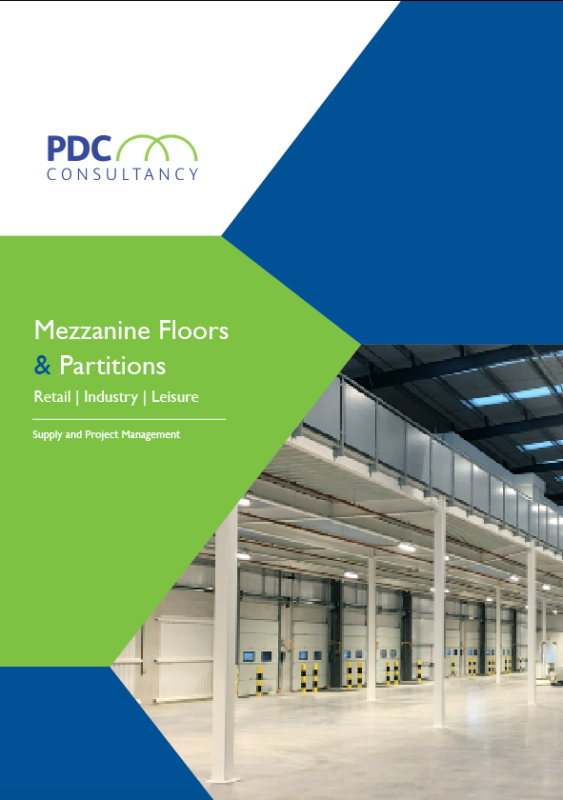 PDC have extensive experience of integrating warehouse automation into mezzanine floor designs. We have worked with clients such as Argos and Homebase at some of their largest distribution centres to install state of the art warehouse technology. Not only is there a cost effective business case but additionally Mezzanine floors are also constructed independently of the existing building. Thus making them fully demountable for reuse or relocation should you wish to expand the elevated storage, or if business needs change in the future. PDC consultancy installed a mezzanine floor along with storage racking and office space at our head office in Staffordshire. They are professional and efficient so I would not hesitate to recommend the whole team. Andrew Jones – TNA Electrical.